Esta pet puede ser encontrada en subastas. Lil' Smokey, i mean, who doesnt want a little bomb following you around? i think they nerfed the size when i got it, anyway i got it like a week ago, after about 16 renewals, but then i got 2 that day xD. well if you're after this pet, Dont give up! its so awesome! got it on the 37th and 38th try. That's right, 2 of them in a row after about 36 boxes of useless bombs and stuff. Does anyone know if the changes to noncombat pets in Wrath of the Lich King mean that this fellow can finally be a permanent pet? Say, for example, that I were to get him, make him, and "learn" the pet - could I then drop engineering and still be able to summon him? More to the point, would he still count for the noncombat pet achievements? Since the item never required Goblin Engineering, or Engineering at all (at least it doesn't now), you could always skill enough to be able to get this pet, wait till you get it and then drop Engineering again. With this, all you need to do is drag the card out of your bag, hit the macro to confirm the deletion, right click the NPC, then hit the macro a few more times. Good luck getting the pet! So, I'm an avid pet collector and have decided to pick up Engineering for the BOP pets it offers. My question is, if I get this Bombling first, can I drop Engineering and pick it up again to get the Lil' Smoky from Gnomish Engineering? I read somewhere you can only have one or the other. Is this true? Engineers can now obtain the schematics for Lil' Smoky and the Pet Bombling from certain creatures found in Gnomeregan. Specialized Gnomish or Goblin engineers can obtain both schematics equally. The repeatable quest that used to randomly grant these schematics has been disabled. A member of my guild had this item drop from the final boss in Gnomer. By which you mean the recipe for this item I presume? Don't get your hopes up non-engineers, this is still exclusive to engineering. The schematic for Lil'Smoky actually drops specifically off of Arcane Nullifier X-21 and Crowd Pummeler 9-60 with a 25% drop rate. And remember the rates shown on Wowhead, especially for these new items, will be lowered significantly just because these are being newly dropped, and these mobs/bosses have been killed millions of times already. The Pet Bombling schematic is a 100% drop rate. I dunno.. for example, couldn't I drop skinning, pick up engineering and power level to the requirement (which isnt very high), snag the patterns and make both pets then just go back to skinning? yes you could, i just did it today minus going back to skinning, but the pets do not require engineering so yes it is possible. It took me about 3hrs and 300-350g to get to 205 engineering. I took my time, and there was a few things that were not readily available at the exact moment I was doing this (1-4am). There was also a bit of some nasty overpricing going on. I was able to sell pretty much every bit of leftover components to recoupe some loss. The ride to Gnomeregan is long for horde, so I suggest picking up the quest from the goblin in VoH in org so you never have to leg it again (you can use the portal in Booty Bay from then on). The random drop schematic dropped after just a few kills, I picked up the 100% recipe for the other pet, picked up the quest items near Thermaplug and was on my way back home. ~3hrs and ~300g for 2 very exclusive pets, I'd say not bad at all. Lil smoky is quite the noise maker as well so he draws attention (sounds like the Mechanopeep). When you've got him out, it sounds like you're being chased by a typewriter. Hmm my friend got this one and i got the Lil' smoky..... They are both cool too! * The Pet Bombling and Lil' Smoky non-combat pets are no longer Bind-on-Pickup. Time to sell these suckers. Though the bombling won't be BoP anymore, will it still require engineering? It never required engineering to possess/use, aside from the fact that one had to have an engineering skill of high enough level to create it to begin with. Even before this change, one could powerlevel engineering, get the schematics, make the pets, then immediately drop engineering for another profession, while still having access to the pets they created. Items which require a certain profession level to use are labeled as such in their tooltips. e.g., Shadow Goggles, which state "Requires Engineering (120)". No longer BoP with 3.3.3. Goodbye to another unique engineering item. As long as the helicopter remains BoP i'm happy, however. There are a handful of intermediate items that the engineer has to craft, so be sure to tip well. This is NOT a giant bomb walking around. It is a small robot CARRYING the bomb. 3.3 no longer BOP, means u WILL see him on AH! Apparently as of the first hours of the patch 3.3.3, there are people willing to pay between 1k to 1.5k gold for this pet. been selling them for over 100g a pop, price is up to around 300g on AH now. Yay gold for engineers, FINALLY! Any wise old school engineer can make alot of farming and profit alot since TBC and specially since WoTLK. Or are you gonna tell me that you don't have the Zap? Whoops perhaps i said too much already. I got him and Lil' Smokey recipes on the same run! 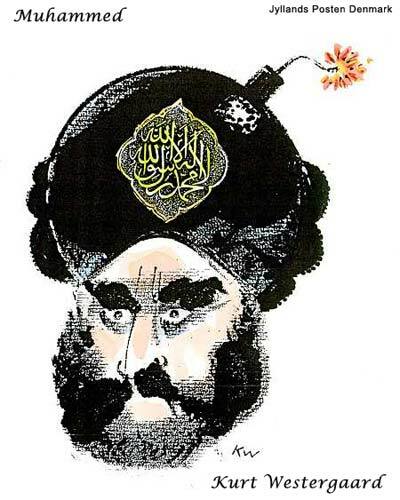 I just can't shake the feeling that he's supposed to look like Mohammed. Coincidence? So it's not really a bomb with a lit fuse that's following me around?...Oh, yes...It's just a little robot carrying a bomb that is coming after me. I feel so much better now! Boom. Now boom? I wish for a boom. Boom go! This pet must be broken, I wonder if it'll explode. To make the Fused Wiring you have to have engineering at 275. If your engineering isn't that high yet, you can hope for a drop from Arcane Nullifier X-21, which is a level 28 mob in Gnomeregan. The drop chance is at 8%, so you should be able to get several during 1 run. If you are having problems making Gyrochronatom, then it's nice to know that you can buy it from several vendors as a limited item. The bombling seems to randomly explode, killing any nearby critters, I was very confused for awhile wondering what the hell was exploding then I realize oh wait, a small bomb is following me.